Kitchen and bathroom renovations continue to top lists as the most popular remodelling projects for 2019. Updating the kitchen or adding a second bathroom not only adds value to a property, but also increases the comfort and convenience of a home as well. But, while it is a popular home improvement request for contractors, what should you do if your customer lives in a condo? 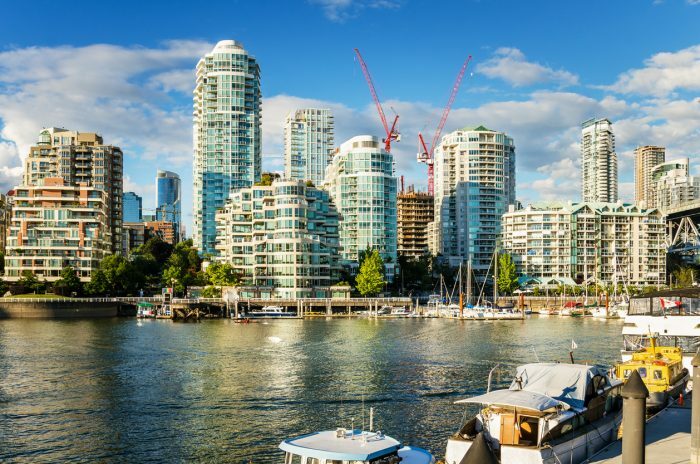 When working in a high-rise building, renovators do not have the same ability to install piping beneath the floor because it is typically concrete, and there may be restrictions on what type of renovations can be done. 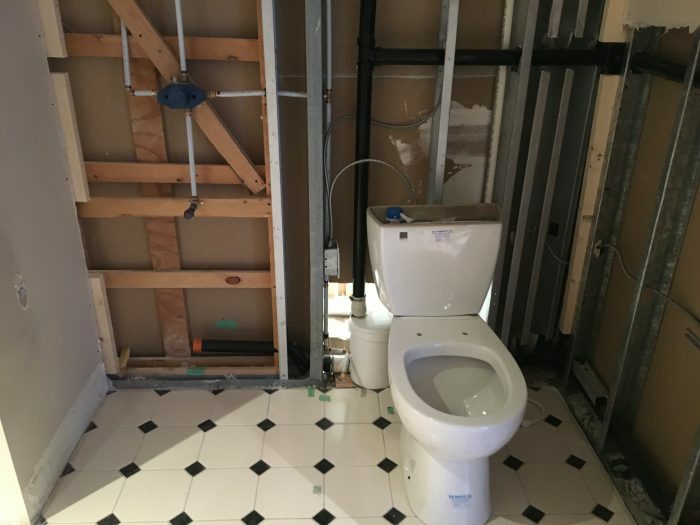 This is the challenge Dave Wong faced when he went searching for a solution to easily add a new bathroom to his downtown Vancouver condo. Through online research, Dave discovered up-flush plumbing systems, and was happy to learn that he could achieve the bathroom he wanted using Saniflo’s Sanibest® Pro. 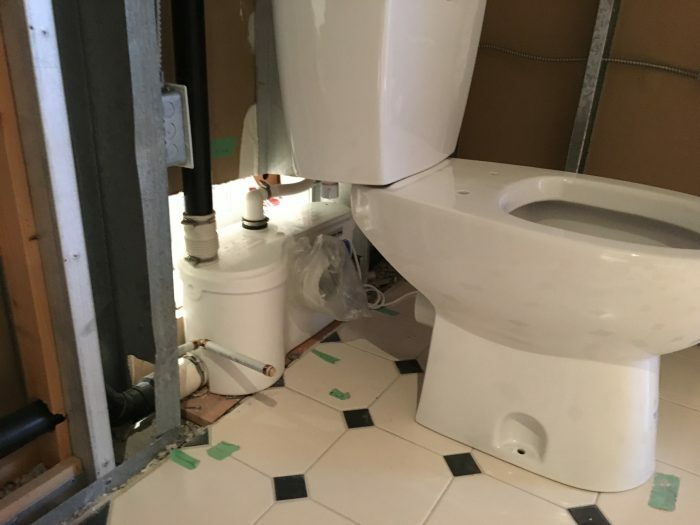 “We needed an extra bathroom and decided to convert a large pantry we weren’t really using into a second washroom,” says Dave Wong, Saniflo customer. After using Saniflo’s Project Selector Tool to help him choose the best product for his renovation, Dave choose the Sanibest Pro, a heavy-duty pump system used to install a complete bathroom where no drainage exists. Since the Sanibest Pro can be installed above-floor, there is no need to break the floor. The system can either be installed behind the toilet or behind the wall for a concealed finish. “It was a bit tricky figuring out how to install the unit within the wall, but we hired an experienced plumber who had installed Saniflo products before and was able to complete the set-up for us,” continued Dave. The Sanibest Pro incorporates a grinder which is ideal for heavy-use situations. “We love the fact that this system is designed to handle things that may be flushed down the toilet from time to time – like sanitary products, baby wipes and Q-tips – so we don’t need to worry about it clogging,” says Dave Wong. In addition, the Sanibest Pro will also discharge the wastewater from a variety of other fixtures, such as a sink, bathtub or shower. 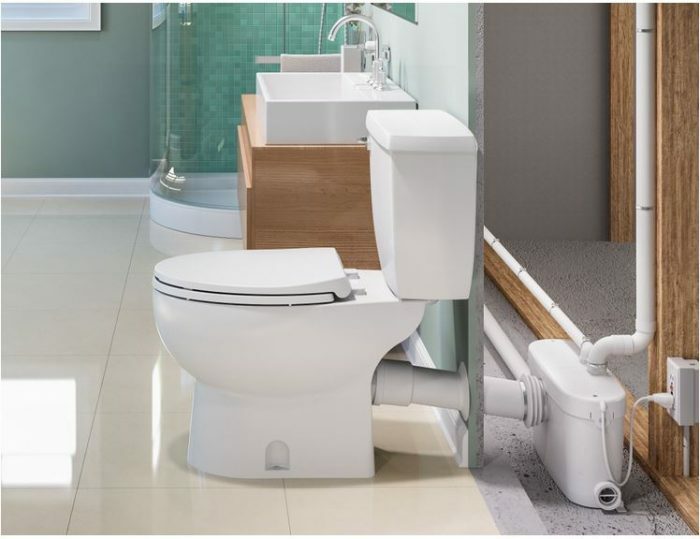 The system is designed to work with Saniflo’s rear discharge toilets, which are available in a round or elongated bowl style. “Saniflo has allowed us to add an additional bathroom where we wanted it, which has increased the comfort and convenience of our living space and adds great resale value if we decide to sell in the future,” says Dave. Whether working with a homeowner like Dave or on a commercial job site, trade professionals want products that offer quick, reliable and convenient solutions that solve their customer’s wants and needs. For plumbing projects, Saniflo systems are increasingly being requested by both homeowners and plumbing contractors for their affordability, versatility and environmentally-friendly benefits. Saniflo offers a wide range of macerating and grinding toilet systems and drain pumps for residential and commercial applications.Macerating technology is a cost-effective, easy-to-install solution for plumbing installations. These systems use a fast-rotating blade to liquefy waste and toilet paper in the flush water, which is then discharged under pressure vertically and/or horizontally through small-diameter piping that can be run virtually anywhere and can be installed above-floor or concealed within a wall with minimal construction in just a few short hours. No plumber or contractor wants to be stuck on a single job site for weeks on end. More client projects completed means more profitability. Saniflo systems are a flexible and advantageous solution for plumbers and contractors and are the preferred alternative to sewage ejector pumps and expensive concrete drilling. Traditional plumbing installations involve breaking and hauling away the concrete to run drain lines and install a storage tank with a sewage ejector that forces effluent from the plumbing fixtures to the main drain line. Typically, these storage tanks hold the effluent for a time before the ejector pumps it out. Because of this, if not installed correctly, the tank can leak and cause unpleasant odours. Furthermore, installation is limited to an area with enough space for the sewage tank and a way to access it. Saniflo systems effectively eliminate these issues since they require no excavation and virtually no maintenance. These systems are clean, quiet and reliable – no leaks, no odours! From residential to commercial and industrial installs, above-floor plumbing technology provides numerous possibilities for creating new bathrooms, kitchens, laundry rooms or other wet areas. Applications may include building barrier-free, portable washrooms for construction sites or special events; installing sinks and toilets in a multi-storey office building or commercial warehouse, and; quickly getting the plumbing up and running for a light commercial kitchen, small café, or hair salon, for example. For more information about Saniflo systems, please visit saniflo.ca or call 1-800-363-5478.